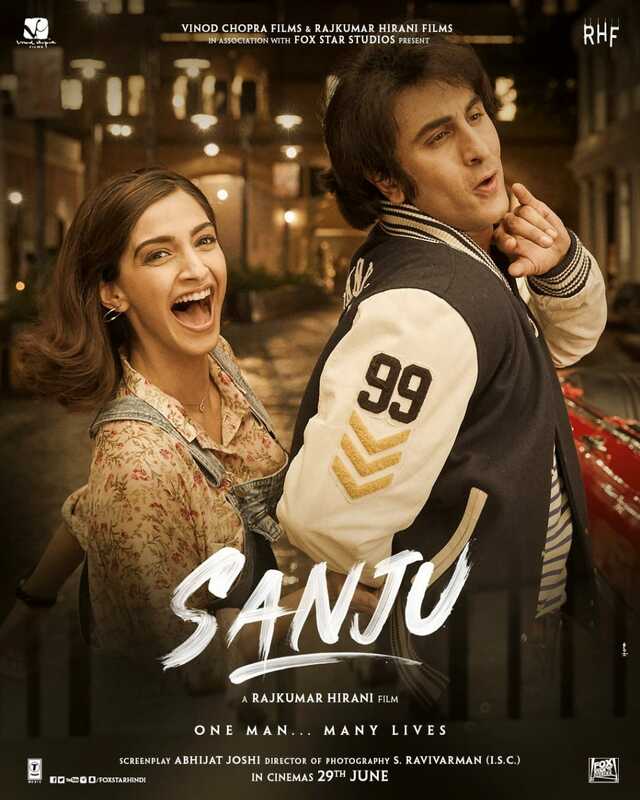 Through the latest poster of Sanju, Rajkumar Hirani gives an insight into the crazy love life of Sanjay Dutt in the 80s with Sonam Kapoor. The latest poster of Sanju unveils yet another facade of the colourful life of Sanjay Dutt. The newest aspect of the film showcases a free spirited Ranbir Kapoor playing Dutt along with Sonam Kapoor who will be seen as his love interest in the film. With Sonam Kapoor, Rajkumar Hirani is all set to give the audience glimpses into the crazy, controversial love life of Sanjay Dutt in the 80s. After intriguing the fans with multiple posters showcasing the varied looks of Sanjay Dutt spanning his life, director Rajkumar Hirani unveils yet another poster of the much awaited biopic. The poster touches upon the controversial love life of Sanjay Dutt. While instances from his love life made headlines in the 80’s, 90’s and millennial, the film promises to present the lesser known instances of Sanjay Dutt’s trysts. The latest poster introduces Sonam Kapoor for the first time. While earlier posters and teaser revealed only Ranbir Kapoor’s looks in the film, the latest poster gives us a glimpse of another character for the first time. The teaser showcased a young Sanju mention about 308 women being a part of his life, the poster further pumps up excitement levels, to know yet another aspect of one of Bollywood’s most interesting actors. The new poster featuring Ranbir Kapoor and Sonam Kapoor takes us back to the retro era with the costume and hair dos. Showcasing the happy and vibrant couple in the backdrop of the retro era, the poster intrigues the audience into the love life of Sanjay Dutt.